This is a wide ranging introductory class to offer women a varied approach to self defense. It has been specifically designed for adult women and will be taught by women (with capable male assistance). Any female under 18 must be accompanied by a parent or legal guardian. Due to the mature subject matter, no female under 15 years may attend. All participants will be required to sign a release and waiver. PHYSICAL SELF-DEFENSE: The course will start with gentle stretching and warm-up exercises. The first hour will be dedicated to basic strikes with open palm, knees, elbows, and a few basic kicks. The second hour will focus on basic releases from grabs, how to use leverage to escape from simple holds and even to gain control over an adversary. The last hour will include some contact training where participants will work with the male instructor to see how practical these basic defenses are against a real adversary.This is a physical workout where participants will be striking and kicking a heavy bag and other apparatus. There will be physical contact when practicing the escapes. All participants should be in good physical health and be prepared to sweat. Wear workout clothing that will allow for full range of motion. ARMED SELF-DEFENSE: This evening will begin with an overview of handguns, how they function and the fundamentals of pistol marksmanship. 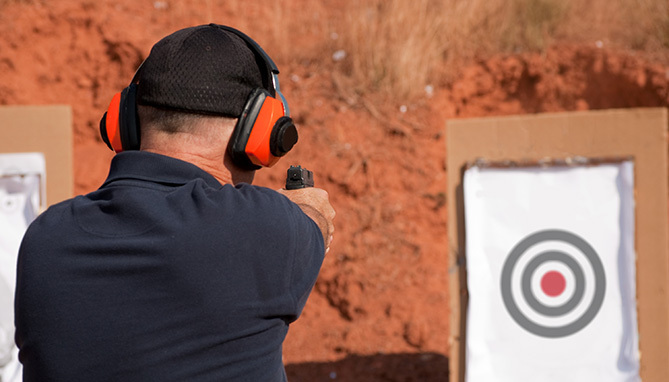 The participants will transition to a local firing range where they will practice the fundamentals to establish the skill necessary to hit a man-sized target at room distance. The evening will conclude with the participants firing a wide variety of handguns in different calibers to help clarify the type, kind and caliber appropriate for their personal defense. PREPARING FOR YOUR DEFENSE: This concluding evening will be entirely based in the classroom where each participant will evaluate their personal safety and following a structured format, learn how to develop and improve a personal safety plan for home, in the car, in the workplace and on the street. Class size is extremely limited to assure maximum attention for each individual. Click here to view my current schedule or here to download an enrollment form for this course.